There is a growing imperative to create and implement culturally-based environmental monitoring and reporting systems that will complement the science-based criteria that underpin the RMA and other environmental legislation. RMLA catches up with Boffa Miskell’s Norm Hill, Kaiarataki / Strategic Advisor in the company’s Te Hihiri discipline to discuss the intersection between indigenous beliefs and colonial regulations on New Zealand’s environment. Norm is affiliated to Waikato Tainui Iwi, and Ngaati Whaawhaakia, Ngaati Naaho and Ngaati Maahanga are his hapuu. Before joining Boffa Miskell, he was responsible for co-ordinating the Conservation Accord Implementation Strategy between Waikato Tainui and Department of Conservation. 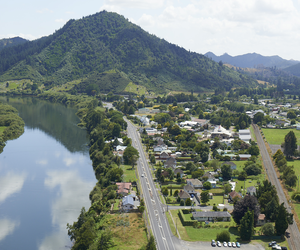 The strategy provided mechanisms that enable Waikato Tainui to assert their relationship with the Waikato River and associated natural resources. Norm says that incorporating Maori cultural values to legislative frameworks highlights mana whenua’s spiritual connection with, and stewardship of, New Zealand’s freshwater rivers, lakes and wetlands. RMLA: Are there any parallels between the way we handle water legislatively, through the RMA, that are complemented by Te Ao Maori worldview?